The chain of events in Elizabethan era started with one of the most important event in the history of England. That event happened in the year 1558 when Queen Elizabeth 1 was crowned. She succeeded her catholic sister Mary 1 and re-established the protestant church. This marked the beginning of the golden age of English history. 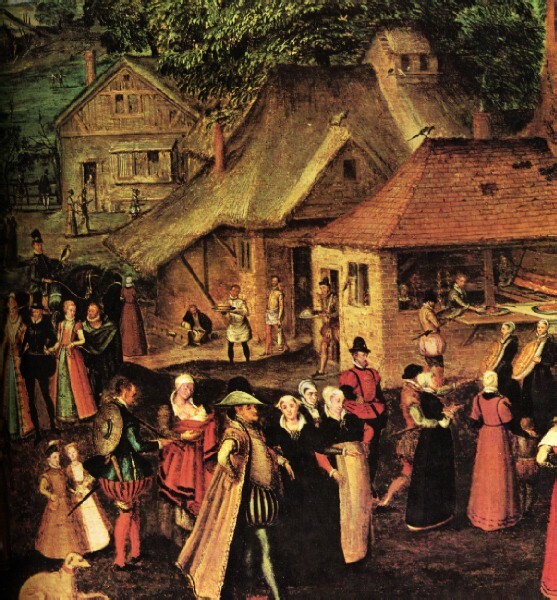 There are many more historical and social events that made the Elizabethan era to be remembered by all. A policy was enacted in the year 1558 to quash the conspiracies against the queen. After this, two acts of supremacy and uniformity were also ratified. These acts settled religious differences. The queen was made the ‘supreme governor’ of the church after the act of supremacy. Act of uniformity, on the other hand restored the protestant prayer book. In 1562, the honourable queen passed the Witchcraft law for hunting and prosecution of witches. In 1570-71, an Italian conspirator (Roberto di Ridolfi) plotted against Elizabethan 1 to execute her and put Mary queen of Scots on throne but the plan was made unsuccessful by Elizabeth 1’s men. In 1586, Anthony Babington tried to overthrow Elizabeth and put Mary, queen of Scots on throne again. But fortunately, Walsingham detected the plot and exposed it. Thus, he safeguarded the Elizabethan empire. Elizabeth 1 and her parliament played a very clever trick in 1584 which bound all the people of her empire. The parliament forced all English men to sign a pledge according to which they agreed to hunt down the culprit in case of Elizabeth’s assassination. In 1587, Sir Francis Drake raided and devastated the Spanish Armada at Cadiz. This battle became one of the most significant battles of Elizabethan era. He captured a Spanish treasure ship ‘Sao Felipe’ in the same year. Mary queen of Scots was also executed in the same year. In 1596, Sir Francis Drake died due to the plague whilst at the sea. His death was a setback to the Elizabethan empire. In 1600, Queen Elizabeth 1 granted charter to East India Company. This marked the initiation of the more than two hundred years rule of English people over India. There were various ghost stories related with the Elizabethan era as well. The stories about different ghosts including those of Sir Walter Raleigh and the tragic Lady Jane Grey are very famous. Besides these stories, haunted English castles were also very famous. On 24th March 1603, Queen Elizabeth 1 died. Subsequently, great-great-grandson of Henry 7 was proclaimed the king. King Phillip 2 and Mary queen of Scots played an important role in the lifetime of Elizabeth 1. Lastly, it can be concluded that there are various events related to the era of Elizabeth 1 which made her reign to be known as the Golden Age of English history.